In just two hours, you could be in Buffalo sinking your teeth into a beef on weck sandwich dripping with jus. The eponymous wing might get all the attention in Buffalo but it’s not the only star in the Rust Belt city’s rising culinary scene. 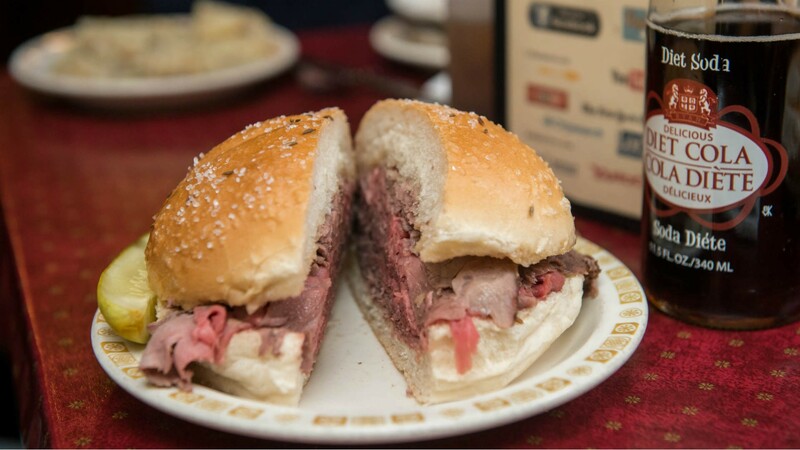 Established long before the Buffalo wing, the roots of the beef on weck sandwich date all the way back to the city's German tavern culture at the beginning of the 20th century. 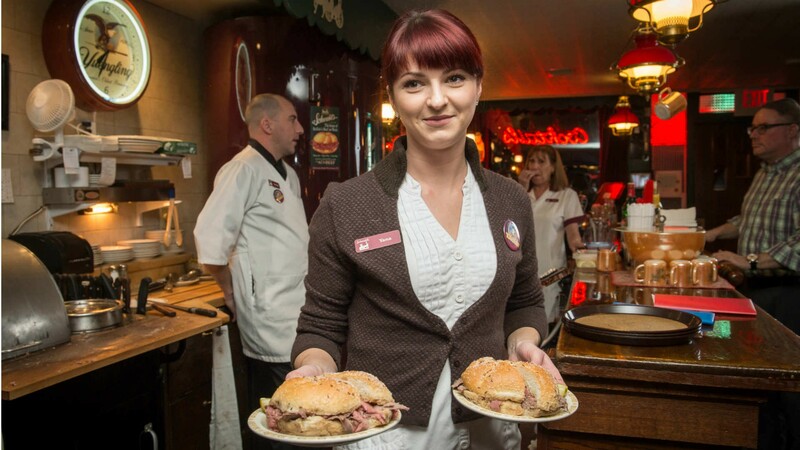 Found in pubs across Western New York, the well-loved ‘wich is comprised of a kimmelweck roll – a hard roll salted with caraway seeds – piled with juicy slices of roast beef and served with au jus and horseradish. Trust us, it’s worth the two-hour drive to get your hands on one – and explore the rest of Buffalo’s culinary scene while you’re there. To get you started on your beef on weck tour of Buffalo, we bring you our favourite restaurants serving the succulent sammie. This southtown stalwart is known for its slow roasted, carved-before-your-eyes beef that’s heaped onto a kimmelweck roll and served with a side of crispy chips. While you’re at Bar Bill Tavern for the beef on weck, be sure to double down and grab an order of their famous wings as well. 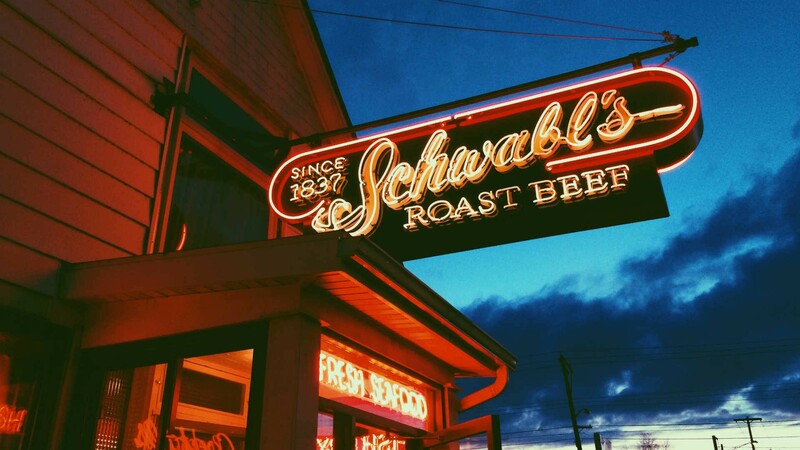 Enjoyed by the likes of Alton Brown and Anthony Bourdain, Schwabl’s has been a Buffalo institution since 1837. 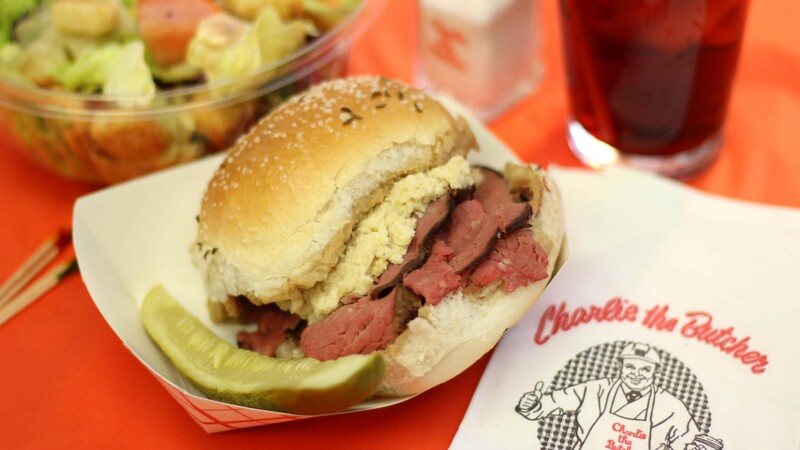 Their beef on weck sandwich is made with cooked-to-order beef that’s always tender and pairs perfectly with a side of their to-die-for German potato salad. Originally opened in 1946, Anderson's Frozen Custard still specializes in two items dating back to their humble beginnings, their hormone- and steroid-free, all-natural beef on weck sandwich and their signature frozen custard.